Anti CCSS Warriors: Mother’s Day Weekend is upon us. 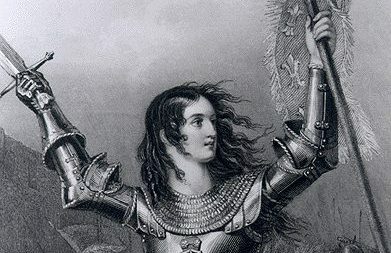 While I wish each of you who are Moms a great time celebrating, there is still much for us to share in helping us fight this War Against the Core. Here are some of the latest resources from the past couple of weeks, in case you missed them. Thank you, Warriors, for all that you do. Have a great weekend. Hug Mom. If you can’t hug Mom, hug someone you love. Back in February 2016, we Anti CCSS (and anti Fed Ed) Warriors listened in horror as Sen. Lamar Alexander listed off several groups already hard at work over implementing the ESSA (Every Student Succeeds Act). We have witnessed these same groups repeatedly backing Common Core, Career Tech Education, Competency Based Education, and all the other aspects in this illegally based education reform. So, what are the implementation efforts of these groups? That is the focus of today’s ‘From the Files’ article. On Feb. 25, 2016, during the first U.S. Senate HELP (Health, Education, Labor, and Pensions) Committee, Sen. Lamar Alexander revealed the following groups had formed a coalition to ensure education fit the ESSA. American Federation of Teachers, National Conference of State Legislators, National Association of State Boards of Education, The National School Boards Association, National Association of Elementary and Secondary School Principals, the National Secondary School Principals Association, and with the support of the Chief Council of State School Officers. Since every one of these groups in part of the CCSS Machine, remember, their reports, articles, and resources will all put a positive spin on ESSA! Warriors, like myself, have combed through the ESSA and reported how damaging it will be. Leading the NEA is Lily Garcia. 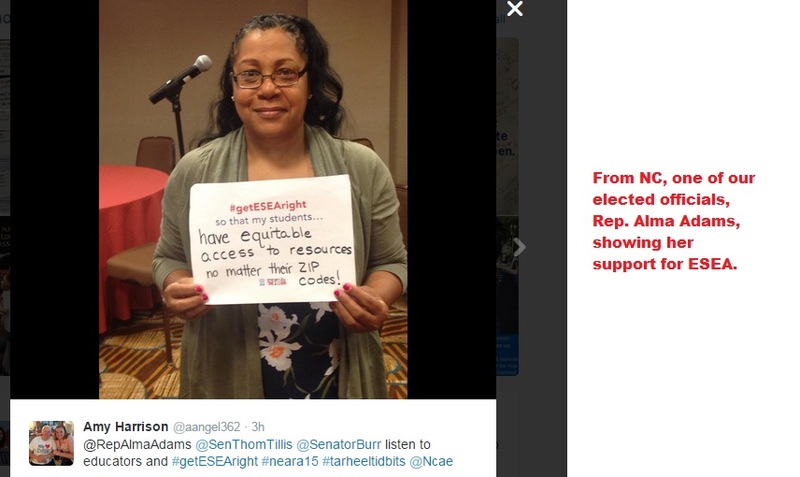 She has made a name for the efforts to back ESSA (according to her page on the NEA website). It is called ‘Spring Into the ESSA’. According to Lily, April 3rd is the date the NEA will, indeed, spring into your schools. How? This group will also be hosting upcoming ESSA webinars. Below is one set for tomorrow! If you cannot sign up for this, I have and will do my best to share all I can learn. You can bet, just like their partner in educational crimes, the NGA (remember, both the NGA and CCSSO hold the copyrights to the Common Core State Standards), the CCSSO will have PLENTY to do with the ESSA’s implementation. Warriors, as you can see, we have lots of evidence here. Share this news, compare it to the ANTI CCSS/Fed Led Ed evidence I, along with others, have given you straight from the Law, not our CCSS Machine agenda perspective. Each of these groups above has sold our nation out! How the CCSS Machine is acting over ESSA. To you, my fellow anti CCSS Warriors, I salute your diligence in fighting the overreach of Common Core, Competency Based Education, Career Tech Ed, College/Career Readiness, and all that goes with them for the Workforce based education system we see happening every day. I congratulate you on your use of patriotism to see that the ESSA (Every Student Succeeds Act) is a farce for American education. However, we have much to do. Why? As I shared in my ‘Weekend News’, the full U.S. Senate will either confirm or deny Dr. John King as the Secretary of the U.S. Dept. of Ed. on March 9th, 2016. But, there is MORE! How the Anti CCSS Warriors are acting over the ESSA. American Federation of Teachers, National Conference of State Legislators, National Association for the State Boards of Education, The National School Boards Association, National Association of Elementary and Secondary School Principals, the National Teachers Association, and with the support of the Chief Council of State School Officers. Why are they fools? 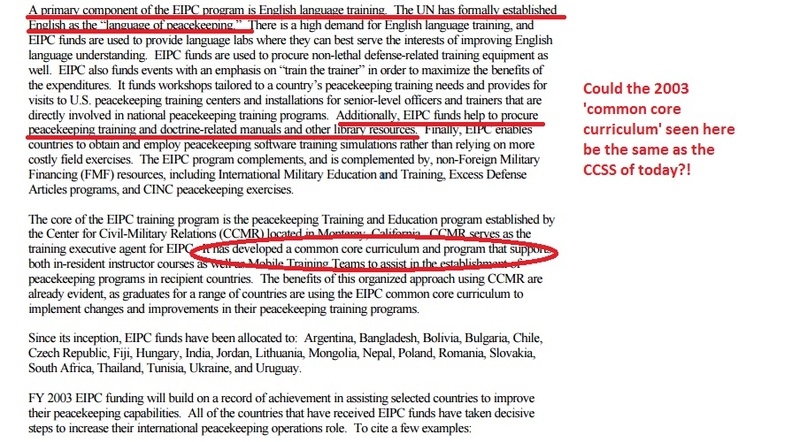 First, they are well known CCSS Machine members. Secondly, they all have gone out of their way to align education and lie about how great the alignment is. 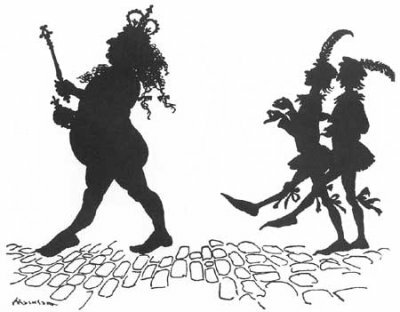 Their third foolish action? Helping spread the misinformation about the ESSA and the return of the States sovereignty in education. Leading this fools battalion? The U.S. Congress and the mainstream media! Has the misinformation worked? Absolutely! From the time the ESSA was voted on and passed into law, our sole focus has been exposing the TRUTH about how the federal government, NOT the States will run education. 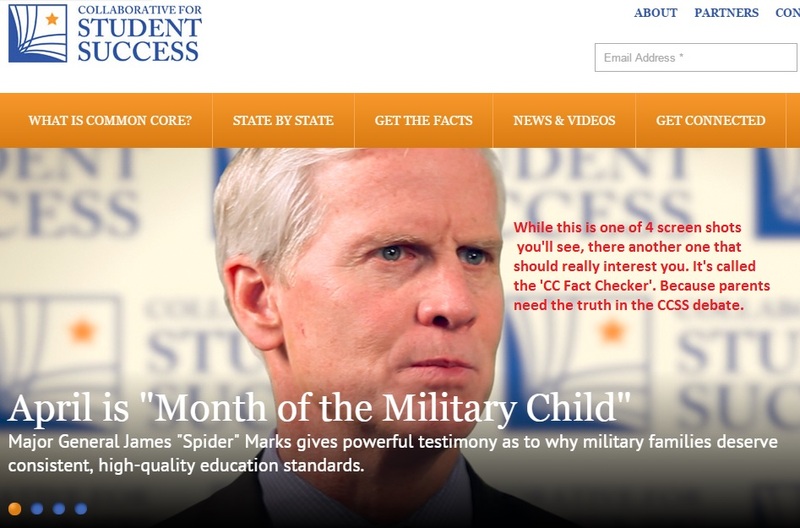 From today forward, you, the Anti CCSS Warrior, will have a document with proof of just how the federal government has hidden this control in plain sight. This document is one I created for my state’s legislators. I share it with you so you can continue (or begin) to help your legislators see the TRUTH. As always, in this War Against the Core, we don’t have much time. Our actions MUST be planned well, carried out with purpose, and focused on our target: Ending federal control of education. The document is titled ‘ESSA Proof of National Control, Not State Control’. It is an “Open Office Document” which will download to your computer first, then you should be able to open it successfully. Be a ‘modern day Martin Luther’ and nail this document on the legislators doors! Anti CCSS Warriors, this is the time to be radical, not shy. This is the time to strike fear into the Senate’s direction. They seek re-election. They won’t get our votes should they confirm Dr. King. While I am not suggesting physical aggression toward another person, I am suggesting we use a ‘hostage-like attitude’ toward the process of Dr. King’s confirmation. We have the POWER, not Congress. It is time we use that power to its fullest! It is STILL a government of the people, for the people, and by the people! Oh, and one last thought, while you contemplate whom to NOT vote for, 19 of the 22 members of the U.S. Senate HELP Committee voted FOR the ESSA! You won’t believe what I saw this weekend! If you are fighting the data collection that accompanies the CCSS Machine’s overreach into our educational systems, its leaders, its students, then you will want to be sure to reach today’s “Monday Musings”. As you may know (or maybe you didn’t know), I am a huge college football fan. As such, I try to take a little time off each Saturday afternoon to watch the games. On Saturday, Dec. 5th, I was doing just that when I noticed this one commercial from Microsoft appear. It didn’t appear just one or two times, it appeared several times (sorry, I didn’t get an exact count). At first, I basically ignored the commercial (after all, it is over 1 minute long). 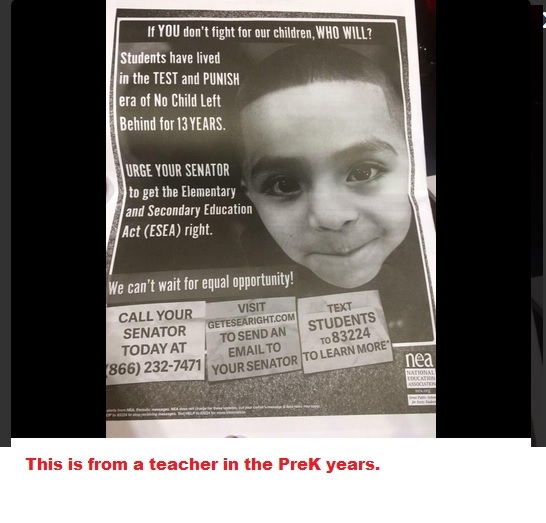 However, I began to notice the rhetoric in the advertisement was causing the anti CCSS Warrior in me to say, “Wait, what did that ad just reveal?”. I am including the ad below from You Tube, so you can watch it before we dive into the rest of this article. Go back and listen for how many athletes are tracked data wise, listen again for what information about those athletes is tracked. If you didn’t catch it, these special needs kids’ health (which includes every aspect of their health) is not only being data mined/tracked, it is being used as part of their progress! Did you catch how the Microsoft Cloud can even look at their past performances?! Don’t get me wrong, I am not out to vilify SO. 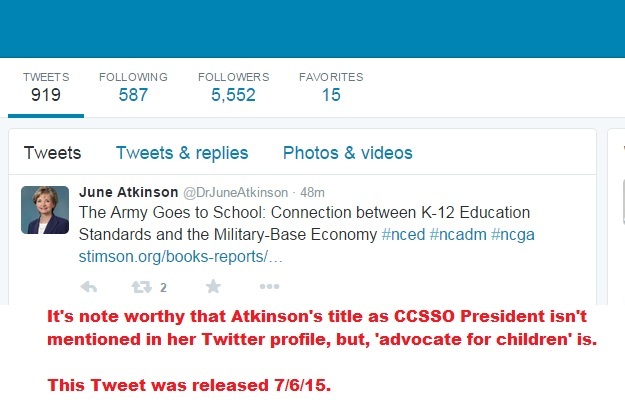 Rather, my point is to show you the ties back to CCSS, SO is participating in. 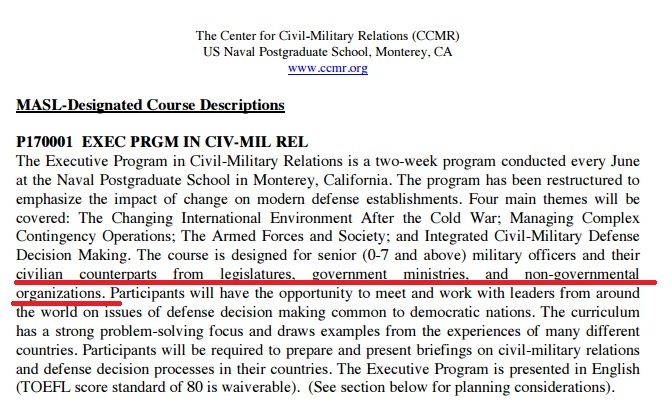 For example, the SO school program “Get Into It” is funded by the U.S. Dept. of Education! As you may, or may not know, Eunice Kennedy Shriver was a key person in the history of SO. However, since her passing did you know the Foundation which bears her name has received Gates Foundation grants for the purpose of human scientific research? What does this have to do with the Microsoft Cloud commercial? Let’s see if there is a connection. While this may (or may not) in fact have been some of the ground work needed to help the Microsoft Cloud collect the type of human data featured in the commercial, I cannot prove beyond the shadow of a doubt. Anti CCSS Warriors, please note that all the above information is given to help point out some of the sheer audaciousness the pro CCSS education reform agenda is becoming. It isn’t the first time we will see a wolf in sheep’s clothing ad, nor, will it be the last. However, if we don’t stop, take notice, and then, share information connected, we will be no more helpful than a screen door on a submarine! We must be diligent, even in our ‘down time’. 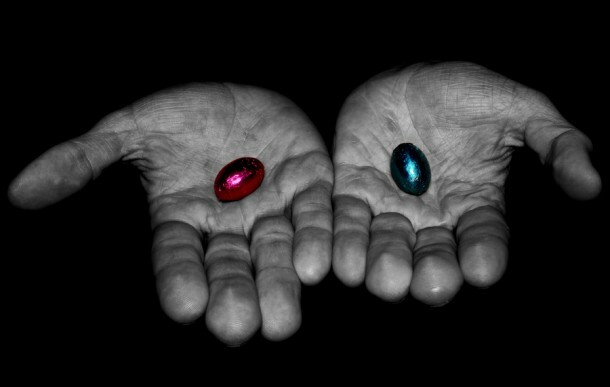 Please, if you have more information about data mining, biobanking, how invasive the Cloud (no matter if it is Microsoft’s, Apple’s or some other company) is with regard to human information, or other connections which we can use to help shine the light; share what you know! We, as anti CCSS Warriors need every bit of teamwork we can muster. One set of voices urges Congress to save our children; one set of voices urges Congress to correct proposed legislation. Good Warrior Day to you, anti CCSS fighters. We’ve been gearing up for a ‘showdown’ so to speak for months now over HR5, S1177, and other proposed CCSS/CTE laced legislative bills before Congress in Washington. It’s down to the wire. The voting surrounding most of these is set to possibly happen in a couple of days. While those of us fighting to END the newer versions of the ESEA (Elementary and Secondary Education Act), there are those pushing to FIX the newer versions! No, this fact isn’t new news, but what is new, is the amount of fervor on the ‘fix it’, ‘get it right’, or that other pro CCSS aspect; the ‘pass it now!’ groups. 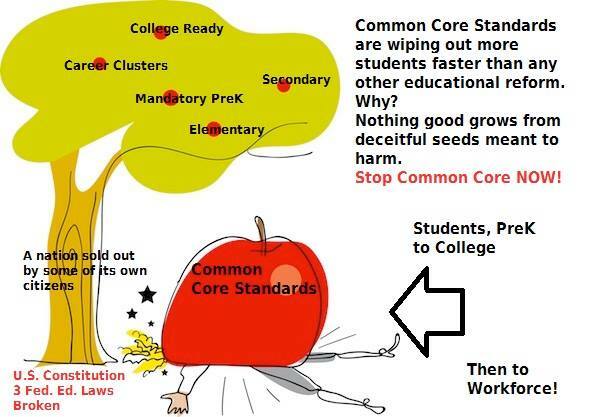 We’ve seen the #StopECAA, #StopCommonCore, and other Twitter handles used to raise awareness for the HOW and WHY our education system needs to be set free from the illegally based CCSS. We know how often those social media outlets (and many others related) are shared in an effort to get all anti CCSS warriors in the game. Case and point, today, many anti CCSS warriors will be active in the efforts to STOP Congress. Many of our fellow anti CCSS warriors have exposed those from the ‘pass it now’ group of pro CCSS sections, but have we really looked at the ‘fix it’ sector? I think we should. So, what are some of the ‘getting it right’ parts of ESEA? From NC, where I live, comes this picture of an unknown person. This particular picture was used as a way to influence the elected officials this went to. If you live in NC, you know these officials voting records concerning CCSS and/or education. Believe me, there’s much more on this particular Twitter page. While most of the sentiment is correct that the versions of the ESEA on the table need to be overhauled, the danger is in the rhetoric of just WHAT needs correction. If you look at the above evidence, note what’s been generalized..what’s taught. It seems the ONLY specific this ‘get it right’ group is after is ending the testing, or ending the ‘teaching to the test’. While these are worthy goals, the overall CCSS/CTE alignment is completely UNSPOKEN! CCSS/CTE is SO toxic to our education we MUST not leave any portion OUT when seeking change! To do so, is to not protect our students and teachers ENOUGH. If we aren’t specific about ending CCSS/CTE alignment how can we expect Congress to abandon it?! What’s also being left unsaid is how all of this is tied to the overhauling of the HEA (Higher Education Act) and the overhauling of the Zero to Three Year Olds. We, as anti CCSS warriors and citizens only have today to fight. We’ve not a clue if we’ll be blessed with a tomorrow. We’ve ONE ‘shot’ to make our voices heard. We’ve ONE opportunity to expose our Congress members to the TOTAL array of CCSS/CTE issues laced in ALL the education proposed legislation. We’ve not time to pick and choose parts of CCSS/CTE to hold on to, or to see improved. Common Core/Career and Tech Education is ALL illegally based, untested, not educator based, and UNACCEPTABLE!